Chicken space pirates, psychic dog advisors, and rhino bounty hunters. Just another adventure in Flotilla! 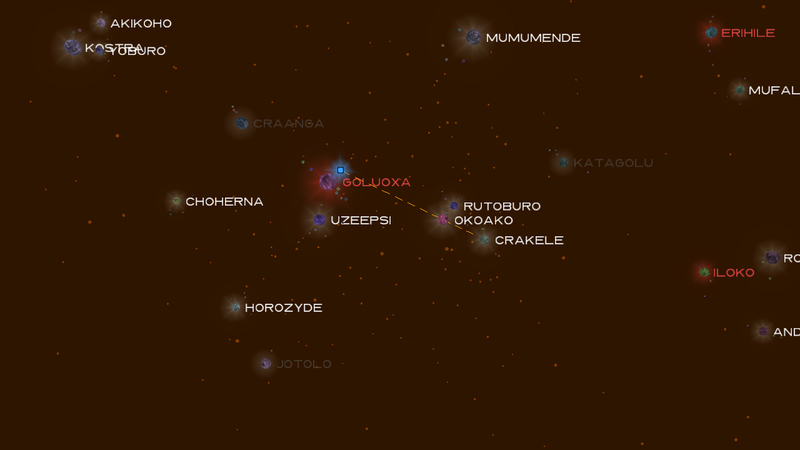 Fight, trade, and explore to make a name for yourself in the galaxy. Nominee for Vision Award and honorable mentions in Excellence in Design and Excellence in Visual Art. "Space Invaders by way of Stanley Kubrick, Flotilla manages to be stately, austere and vividly demented at the same time." "Alice in Wonderland meets Star Trek in the weird relaxing Flotilla"
"The battles become pitched and intense, while still maintaining that turn-based sensibility." "The length is perfect, the design is gorgeous and the wit is witty." "...the game actually has a lot of humor mixed in as you travel from planet to planet, searching out your next big adventure." "It’s enough to finally sate that years-long itch to become Ender Wiggin. " Online scoreboard. How do you stack up against other captains? Upload your score to the Hall of Fame and find out! No adventure is the same. Whenever you begin an adventure, the universe is randomly populated with characters and encounters. There is no "up" in space. Explore the tactical richness of full 3D movement. Watch your angles and flank the enemy from all directions. Configure your fleet. 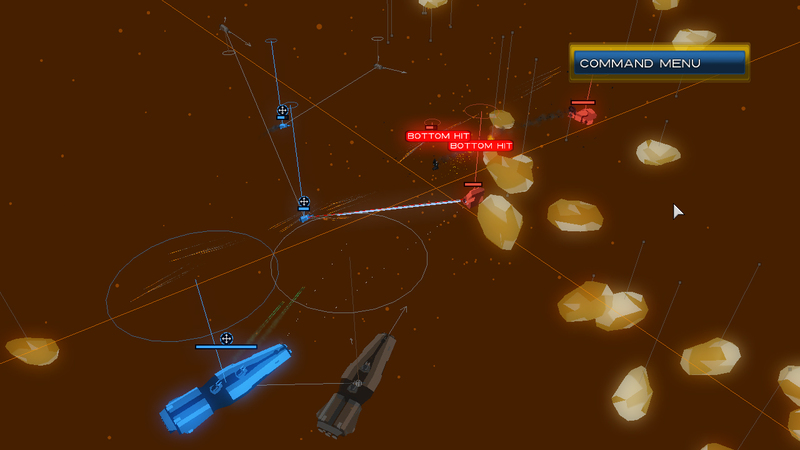 Find crazy loot throughout your adventures, and install upgrades and artifacts to your flotilla of ships. Play with a friend. 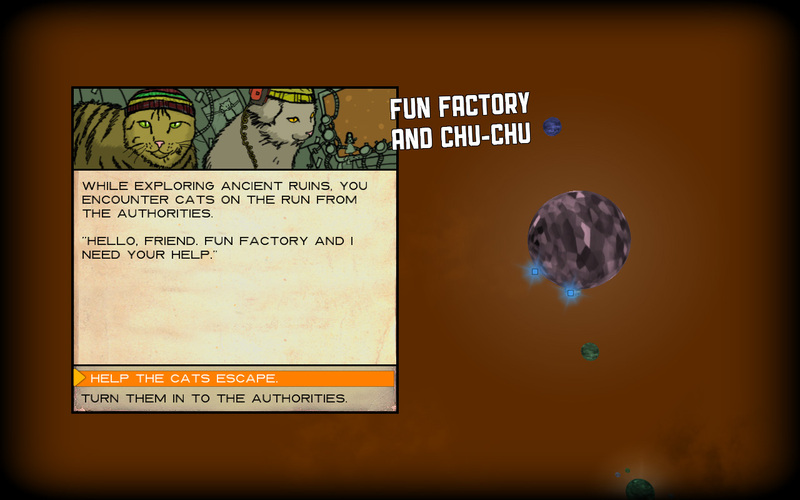 Grab a buddy and play through the adventure cooperatively in splitscreen. Or, blow up your friend. 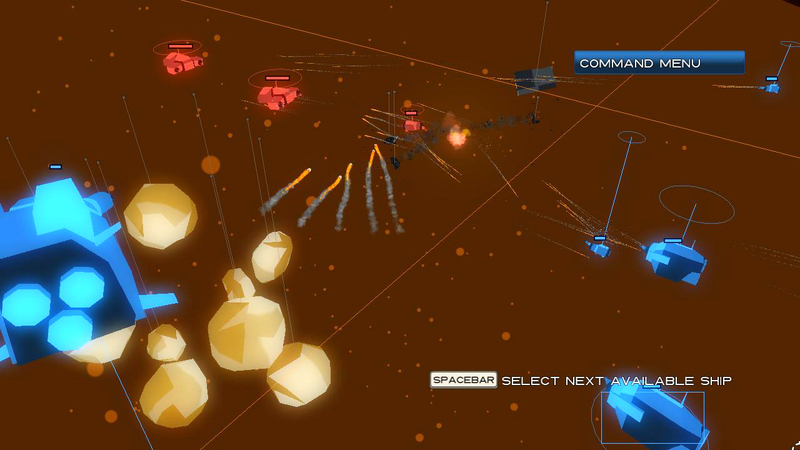 In the Skirmish Mode, set up custom fleets and battle human or computer-controlled enemies. Now available for PC and XBOX Live Indie Games.